The wine and olive oil flowed freely. It's amazing how much one can consume a little taste at a time. We tasted 8 wines and 5 olive oils. Charles from Time for Wine gave intimate descriptions of each wine as we tasted it. 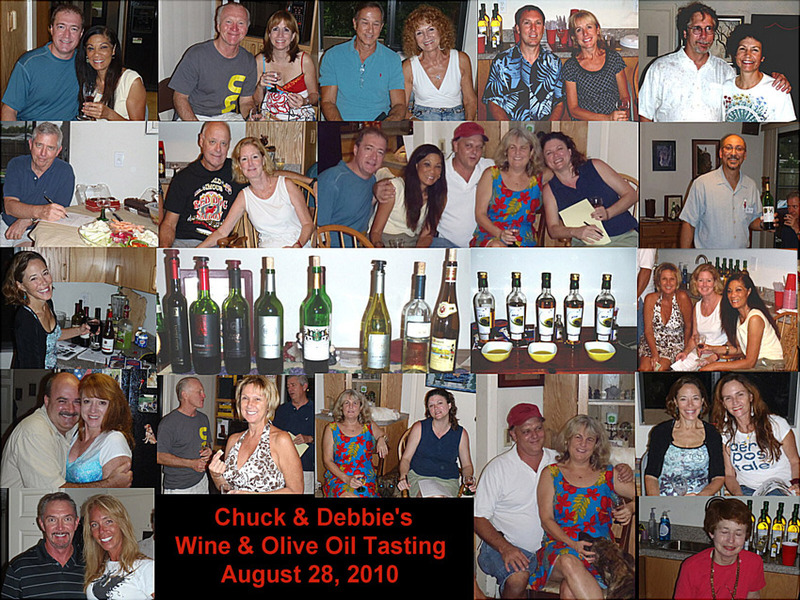 Chuck didn't let Charles out do him and did the same for the olive oils. Chuck & Debbie also had plenty to eat plus more wine and beer to drink. All had a grand time as can be seen by the smiles on everyone's faces. Chuck & Debbie, thanks again for another fun time.